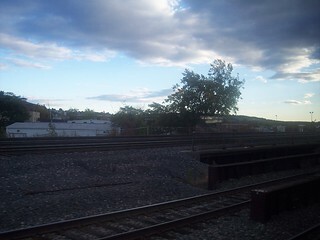 As we approach the Worcester station we see the city. 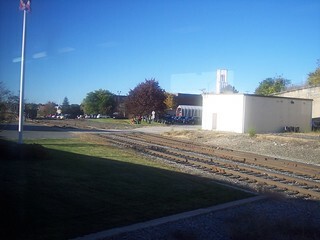 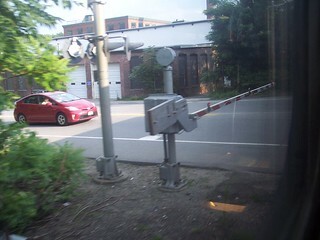 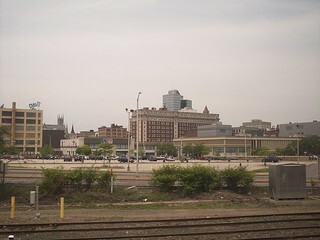 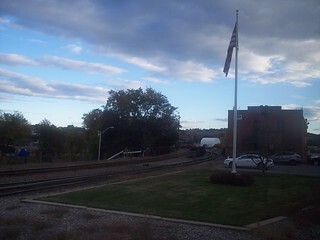 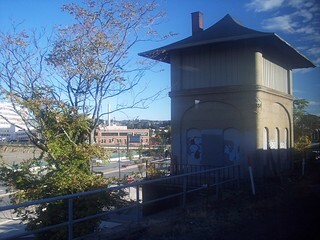 From our Providence & Worcester train we see the CSX tracks and an old tower. 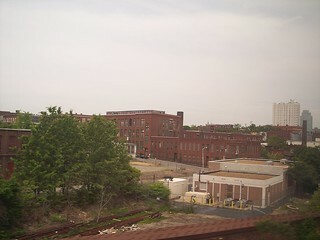 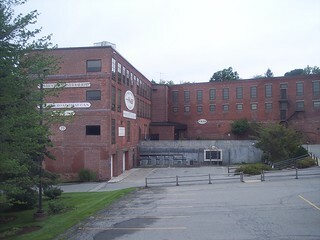 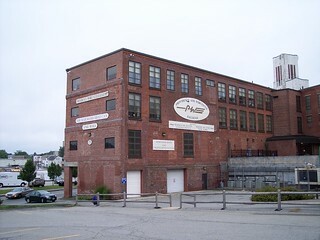 Following the Providence & Worcester tracks toward Auburn we see the P&W's headquarters building. 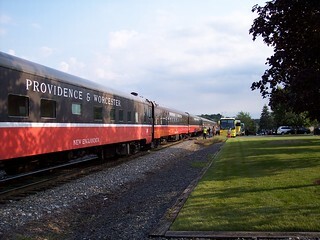 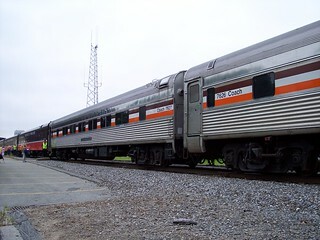 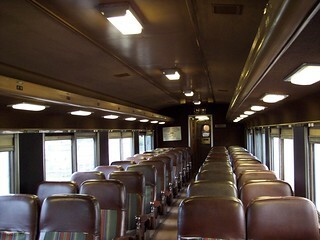 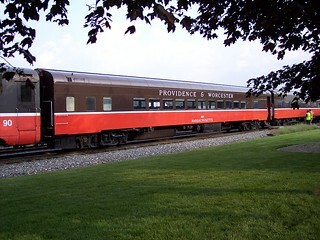 This was the boarding location for the two P&W excursions we've taken. 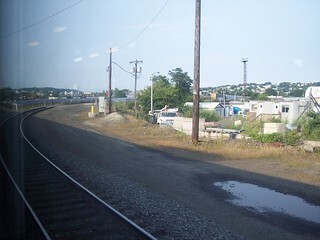 The tracks to the left head to Providence while those to the right head to Groton and New London. 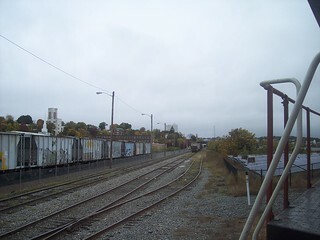 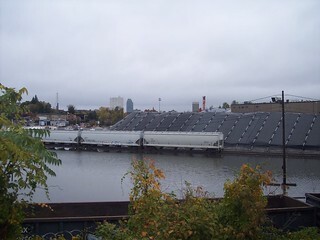 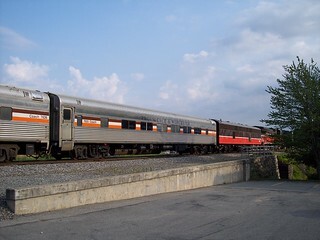 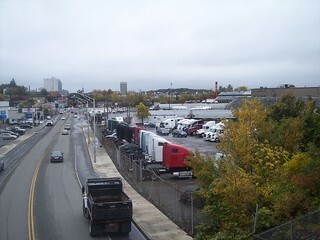 Riding between Putnam and Woonsocket on the P&W we bypass the yard in Worcester.